Shortly after moving into my new house, I decided that my days of hand-me-downs were over and that I wanted to invest in some nicer furniture. But since I’m cheap, places like Ethan Allen and Crate&Barrel were out of the question. Thus, to marry my need for nicer furniture with my stubbornness for obtaining the best discounts, I decided to buy inexpensive furniture online to save money. This strategy provides me with an array of options, has saved me thousands of dollars, decreased my stress level, and enabled me to furnish my house with some impressive pieces. It takes time to find high-quality furniture for the best prices online, but these tips can help you make solid buying decisions. Begin your research by reading the company’s About page. The better online retailers provide details about their companies, including history and information about their customer service and satisfaction guarantees. The site’s About page should also include a phone number or address. Reputable companies always provide ways for companies to contact them offline. Pro Tip: Many Internet retailers don’t have brick and mortar stores. A good example of this is Coddle. They can offer excellent prices because they have low overheads. If you plan to buy your furniture from one of these websites, make sure to carefully assess store reviews before making your purchases. Several websites allow users to post reviews for Internet retailers. While you can chalk one or two bad reviews up to unique bad experiences, several bad reviews or a low ranking may indicate problems with the company. Start by checking Google Product Search, which lets users rank and review different stores. The shopping section allows users to rank merchants using one to five stars, and submit reviews on products and merchants. Check the star rating first. I usually skip over any store with a one or two star rating. If the store has a three, four, or five star rating, read some of the reviews left by others. Google users tend to leave pretty straightforward reviews. You can also buy furniture on Amazon, which allows you to browse hundreds of online retailers and products. When you browse for furniture on Amazon, you can search using the highest average user review to find the highest-rated products. You can also click through the search results to read more detailed reviews about the furniture and the merchants. Pro Tip: The Better Business Bureau maintains a list of consumer complaints, shipping and ordering issues, and other problems with online merchants. You can search the Better Business Bureau website for information about any online store. While not every store has a BBB profile, you can find a lot of helpful information. Websites should have clear return policies. If a website charges customers a re-stocking fee, has a complicated return procedure, or doesn’t allow returns at all, don’t do business with them. Look for websites with flexible return policies. Stores should give customers ample time to return products. Many stores give customers at least 30 days, but some offer 45 or 60 days to return items. In addition, review the website’s re-stocking and shipping fees. The best return policies offer free return shipping, or the option to return products to a brick and mortar store. Some stores require that customers cover the cost of return shipping, which can get costly for large or heavy pieces of furniture. Some stores also charge a re-stocking fee, which can total as much as 15% of the item’s purchase price. Avoid online retailers that charge re-stocking fees. Pro Tip: Search for the term “return” when reading merchant reviews to learn more about other customers’ experiences returning items to the website. Most stores list their shipping policy on their FAQ or About pages. Thoroughly review a store’s shipping policies before buying furniture from the website. Different stores use different shipping companies, such as FedEx or UPS, and offer different shipping and handling rates. 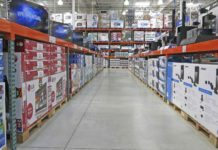 Some stores hike up the cost of shipping, or charge a handling fee to counteract the lower prices they offer on their furniture. Do not buy any furniture without reviewing the shipping and handling fees first. Pro Tip: Free shipping doesn’t always mean free. Sometimes, a store includes the cost of shipping in the purchase price and then claims they offer free shipping to draw in customers. Compare prices with other sites. If the furniture costs $100 or $200 more on a website that offers free shipping, the website probably added the cost of shipping to the prices. Some online retailers, like Amazon, offer many products from different merchants that cover the full spectrum of decorating styles. However, most online stores carry items that reflect the website’s commitment to a particular style. For example, some stores specialize in modern, green-friendly furniture. These stores carry sleeker furniture with minimal design elements and modern-looking home decor pieces. Other stores carry more traditional or classic pieces, and have product offerings that speak more to the buyer with a traditional sense of style. When searching for a furniture store, look for one that matches your own sense of style, this way you have more to choose from as you browse. Pro Tip: Identify your sense of style and then search online using keywords that identify your style. This will help you to find furniture that’s right for you. For example, using terms like Classic, French Country, Modern, and Shabby Chic can help you find websites that specialize in your favorite type of furniture. Find what you need to furnish your home by shopping at an online store that offers a full range of furniture options. Some retailers focus on hand-painted, small furniture pieces, and other stores only sell bedroom furniture. You have a better chance of finding everything you need if you shop at a site that offers furniture for every room of the house. Many stores give you a discount on shipping if you buy multiple pieces, and you can save a lot of money by buying two or more pieces at the same time from the same retailer. In addition, if you plan to buy several pieces of furniture in the same stain or color, you should buy them from one website to ensure that they really match. Otherwise, you might end up with several pieces of furniture in slightly different shades of stain or paint colors. Pro Tip: IKEA offers furniture and accessories for every room of the home, and their prices beat many of their competitors. Keep in mind though that the furniture usually requires some assembly. Many online stores also have brick and mortar locations where you can shop for furniture. Choosing to buy furnishings from a store with a physical location allows you to look at the pieces you want before you buy. I found a couch I loved online, but when I went to the store to look at it in person, I hated the way it looked. Having the option to see furniture before you buy can save you headaches down the road. In addition, shopping from websites with brick and mortar stores may eliminate shipping costs. Many websites with brick and mortar stores allow you to buy items online, then ship them to the store for free pickup, instead of paying shipping costs to send the furniture to your house. Pro Tip: Best Buy, JCPenney, Sears, and Walmart offer free website to store delivery. Combine coupons or sales with free shipping offers to get the best deals. Only buy furniture from secure websites to reduce the risk of identity theft. Once you begin the checkout process, you should see details that indicate the site is secure. Check the URL for the page. If you buy furniture from a secure site, the URL changes to begin with https instead of http, indicating the site is secure. You might see a lock icon somewhere on the bottom of the web page; this is also an indicator of website security. Double-click the lock icon to review information about the website’s security measures. In addition, secure websites typically have some information in the website FAQs that details their security policies. Exercise caution when responding to promotional emails, and look for assurances that an email is valid and secure, before clicking through any links in the email. Once you click a link, look for signs that the website you are visiting is secure before finalizing any purchases. Deciding where to shop online is only the first step in finding the best deal on furniture. Once you decide on a store, start perusing their website and choosing your favorite pieces. Finding the furniture you want to buy is fun and stressful at the same time. Although buying new furniture is exciting, the risks involved can make it a nerve-wracking venture. Cut down on the stress, and make sure you pick the best pieces, by checking over each online listing carefully before you buy. Many online stores post multiple photos of furniture and you must look carefully through each one. Typically, the store posts a photo of the furnishing in a decorated room that accentuates the furniture. The website then offers links to side angles, and to additional pictures without any props used to make the furniture look more appealing. Unless it’s a one-of-a-kind item, you can usually find different photos by searching the brand name and the name of the item. Look through as many photos as you can to get an idea of what the furniture might look like in your home. Pro Tip: Some stores like Walmart.com let users post their own photos with the reviews. These photos give shoppers an idea of what the furniture really looks like in someone’s home. I’m guilty of just scanning the descriptions, but don’t make my mistake; read descriptions completely if you want to buy. Keep in mind that furniture companies choose their wording carefully. For example, veneer or composite woods come from wood pulp or synthetic material, and furnishings made from these materials will be lower quality than furnishings made with solid wood. Pro Tip: In addition to reading the summary description, click on any links or tabs to read the specifications, if available. Look for information about durability, construction, and instructions for cleaning the furniture. Carefully check the furniture measurements. Don’t just assume that the piece can fit where you want it to go; pictures can be deceiving. When you measure the room, make sure you double check the measurements for the length and the width of the furniture. In addition, make sure that doorways and hallways won’t cause any problems. Think about how the furniture will get into the room, and if necessary, ask for a second opinion about bringing the furniture into your home. A friend bought an enormous couch for an upstairs sitting room. When the furniture was delivered, however, he discovered the couch couldn’t fit around a bend in the stairwell. Pro Tip: If the site doesn’t offer measurements for the furniture, you can call the website’s toll-free number to ask a representative to provide you with the actual measurements. Many websites allow customers to post reviews on furniture purchases directly on the site. While one bad review shouldn’t necessarily sway you away from a piece, steer clear of any pieces with several bad reviews. This could indicate poor construction or issues with durability. While most sites do everything they can to provide accurate photos, posting photos of furniture online can distort the true colors of the furniture. Darker furniture in particular, such as the espresso color popular with modern furniture designs, tends to look lighter online. I ordered several pieces of espresso furniture from different websites, and while it all looks good together, some pieces have a distinctly darker hue when closely examined. You can gauge the color by looking at the website on different computers, as sometimes your computer can alter the colors in photographs. You can also read the reviews for insights on the furniture’s color. Some reviewers make a note in the review if the piece looked significantly lighter or darker when it arrived. Very few Internet retailers sell one-of-a-kind items. You can find most furniture, especially the kind you assemble yourself, on dozens of sites. Do a little comparison shopping before you buy by looking for three to five stores that offer the furniture you want. Note the cost of the items, shipping costs, any tax charges, and if the store charges for return shipping or re-stocking. Do this for every piece of furniture you find, to make sure you buy from the online site with the best overall deal. It takes some time, but careful research pays off. For example, I recently saved $75 on a coffee table, by comparison shopping with other websites. Internet retailers offer sales, especially around the holidays. If you have your heart set on a piece of furniture, but you think it costs too much, wait before making your purchase. The website might put the piece on sale, or on clearance. Pro Tip: Many experts recommend shopping for furniture in January and July to get the best deals. Furniture manufacturers drop new furniture shipments twice a year, in February and August, so many online retailers put the old models on sale the month before to make room for the new stock in their warehouses. Retailers love to give out coupons as a way to get people to visit their websites. You can take advantage of these special deals and get hefty discounts on your purchases. Start by visiting the furniture website and signing up for the company mailing list. Several sites email new mailing list customers a coupon just for signing up. Coddle, for example, offers $50 off a $500 purchase after signing up. You also receive other coupons periodically, and links to sales and clearance deals. After you sign up with the website’s mailing list, hunt for store coupon codes and promo codes. Several websites collect coupons and special deals from online retailers. These websites posts the coupons online, with the coupon code, so you can take advantage of the discount even if you didn’t receive the deal directly in your inbox. Ebates not only gives you coupons but they also offer cash back on each purchase made through their website. With over 2,500 stores to choose from, there are plenty of ways to save. RetailMeNot has a furniture section listing current coupons for popular furniture websites including JCPenney, Target, and Pier1. You can also search the site for a specific store. RetailMeNot has an impressive list of current coupons for major retailers. Dealcatcher lets users post links to coupons they find. It also lets users flag bad or expired coupons, so you won’t have to spend time looking for a valid deal. Coupon Craze doesn’t offer as many coupons, but they frequently post valid coupons for popular furniture retailers including Target and Walmart. Pro Tip: Sometimes certain coupons do not work, either due to a minimum requirement or a site error. Do not despair if the site turns down one coupon code; just keep trying until you find one that works with your shopping cart. If the retailer has a brick and mortar store in your state, you may have to pay taxes on your online purchases. State taxes on retail purchases can range from 5% to 10%, a significant amount of money for a large purchase like furniture. If you buy a $550 couch and have to pay an 8% tax rate, that couch ends up costing you $594 before shipping. Most online sites list their tax policies on the About page or in the shopping cart. Factor in the sales tax before finalizing your purchase. After you find the furniture you know you want to buy, you have to choose a shipping method. Shipping furniture is expensive, and bulky pieces often require special delivery, so most stores offer a variety of different options. Many stores offer three different levels of shipping for large items like furniture. Each level gets increasingly pricier, but offers better service. Stores that have a brick and mortar location often have a fourth option, site to store shipping. With site to store shipping, you can choose to send the furniture box to the store. The shipping may take longer, and you have to pick the item up in person, but the store usually won’t charge you any shipping fees. You can also find free shipping deals. Some stores offer free shipping year round, and other stores, like Macy’s and Target, frequently offer free shipping as a promotional tool. Keep in mind, however, that free shipping may not save you much money when you factor in the cost of state tax and the cost of the furniture. Do not forgo price comparisons just because you found a free shipping deal. With front door delivery, the delivery driver drops off your furniture at your front door, or on the first floor of your apartment building. While this is usually the cheapest shipping option, you have to carry the piece inside your house, or have help from someone who can carry the piece in for you. Inside delivery costs more than the front door option, but the delivery driver brings the furniture inside your house. This usually includes bringing it upstairs if you live in an apartment building, and some delivery services even bring the box into a room of your choosing. This option assists people who do not want the burden of lifting heavy boxes. Note that the delivery driver will not open the box, inspect the package, or help you set up the furniture. White glove delivery is the full package deal. The delivery driver brings the box inside, unpacks the box, and sets up your furniture for you. White glove delivery is a good option if you can’t assemble the furniture yourself – but it is expensive. Some websites charge $100 or more for white glove service. Pro Tip: If you really do not want to set the furniture up yourself, consider asking a neighbor or hiring someone from Handy.com to do it for a small fee. I bought a rather complicated bookshelf and the site wanted $95 for white glove delivery. A neighbor offered to come over and build the bookshelf for $20, which ended up saving me about $50 in shipping and setup fees, since the standard shipping fee was only $45. Many brick and mortar stores let you pick up your online purchase in the store for free. You order what you want online and the retailer ships your package from the warehouse to the store closest to you. You may need a truck to pick the boxes up, and you may need to hire helpers to move the boxes. While buying furniture online can save you time and money, you have to watch out for scams and do some research to find the best deals. Make sure you use a site you trust, find the lowest price, and choose a shipping method that won’t make you regret upgrading your furniture. Do not forget to carefully evaluate the pictures and descriptions of any furniture you find, and keep in mind that while a picture may be worth a thousand words, most online retailers spend a lot of money on professional photographers. Do not just rely on the photos to pick out your new couch. Read the reviews, compare the prices, and search Google for user-submitted images to see what you’re really buying. Have you bought furniture online? How satisfied were you with the purchase?